With automotive blogs from Content Motive, your dealership takes advantage of a myriad of benefits to your overall web marketing strategy. Blog websites not only engage readers with fresh, up-to-date content geared toward your dealership’s or your manufacturer’s brand, but also provide additional traffic back to your main website. Blog content is functionally similar to Content Motive’s standard automotive SEO content, containing similar optimization elements and specialized strategy, but integrates a couple unique content features as well. Due to the nature of blog content with the intent of being fresh, news-worthy, and providing additional authority to your dealership’s brand, topics and keyword strategies following industry trends becomes that much more important. Additionally, blogs also offer unique integration with a social media element, with the intent of reader interaction and sharing. Automotive blogs essentially act as social media fuel. The information is new, trending, and/or relevant to your dealership, and is made to be easily shared across social media platforms. And with comments and reviews, blog articles can be more interactive than content building on your website. With this sharing, content achieves greater reach through increased web presence and visibility, bringing more traffic back to your blog and main dealer website. Retaining web traffic and converting it into actualized leads hinges on that presented web authority, the relevancy of the information presented, and as a result, how much trust customers feel they can place in your dealership. 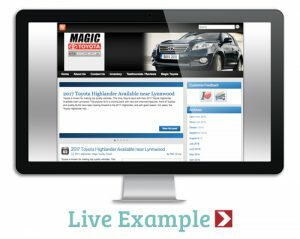 With an active, visible blog containing unique, new, and relevant automotive topics, you get greater control over how these potential customers perceive your dealership. 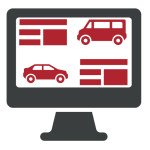 As web visibility grows through this sharing and interaction, so does your dealership’s online reputation. With trustworthy and authoritative content meant to inform and educate, buyers begin to see your dealership as an industry-leader, resulting in better retention, reduced bounce rates, and higher lead conversion. • Increase your likes and overall social following. • Engage customers with interesting articles integrating topics not otherwise tackled in search-engine based strategies. • Get more leads and traffic directed back to your main website. • Boost your search ranking with referential linking from a site with web authority. • Blogs can integrate both custom content and manufacturer feeds. Contact us now for SEO blog answers and a quote for what benefits Content Motive services can bring to your company.